We have a whole host of DJ name choosers for you, and loads of other ideas for getting the perfect name to spin under. A ‘funny DJ names’ post on the Serato forum – you want to make sure you don’t end up being talked about somewhere like this! At the end, we’ll ask you to tell us the name you’ve chosen, and how you came to choose it – and whether, looking back, you’re glad or sad at the name you chose! So to ensure you don’t end up with an inappropriate name that people laugh at, like many of those in this Serato forum post, let’s first outline those principles for choosing wisely. Sites like this one tend to make stupid suggestions, but it all helps to get you thinking. Looking for an old school, hip-hop, block party kind of name? something Grand Master Flash might have been proud of? This very web 1.0 site churns out countless such names, many of which seem to have “Wizard” in the title. Hint: Don’t even bother entering your normal name, just keep clicking the “go” button for different suggestions. 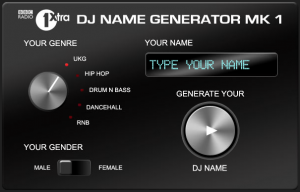 BBC Radio 1Xtra’s name generator is slick and fun, but a tad on the safe side, and quickly gets annoying for generating multiple names. Looking for an edgy, urban name? Covering UK garage, hip-hop, drum’n’bass, dancehall and r’n’b, and with a male/female button, this slick tool (it has a double decks “name mixer” that scratches your new name out for you!) can give you a few ideas. 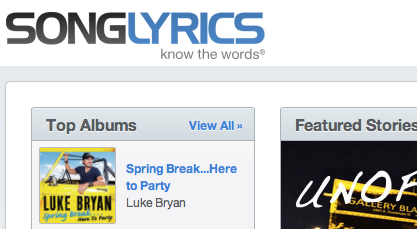 Overall, though, it seems to play it a bit safe (it came up with “DJ Rhythm Beatz” for me). 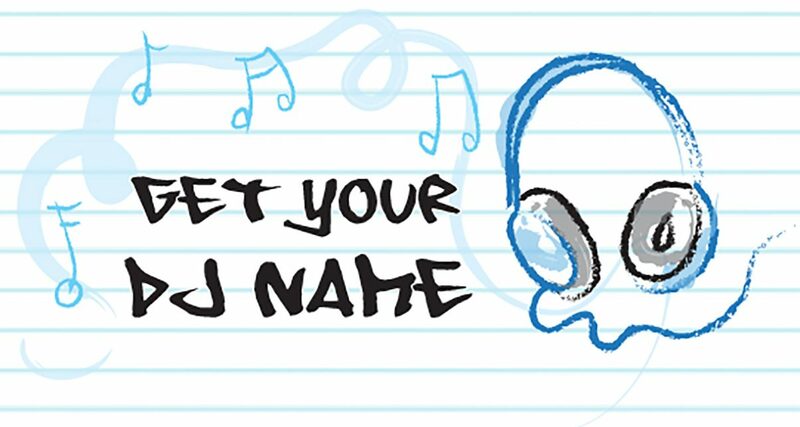 If you were born after the late 90s, your parents almost definitely used a site like this to choose YOUR name – and such sites are a great place to investigate potential DJ names, too. Baby names sites are huge, and the best thing about them is that some have names from all over the world, so if you want a fancy Russian name (it worked for Sasha), you can go right ahead and look for one. What it lacks in flashiness, it makes up for in effectiveness – this basically crunches any name at all you put into it and spits out an anagram of it. 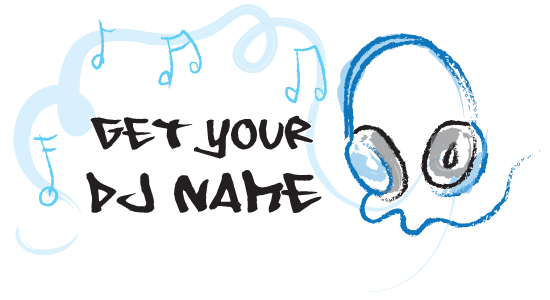 You can try your name, your nickname, other DJ names you’ve come up with, other DJs’ names – whatever. A great way of doubling up on any suggestions you might have. 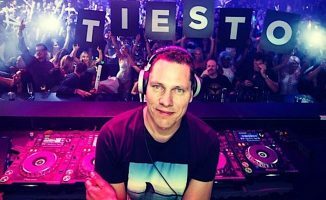 Want to know how famous DJs got their names? 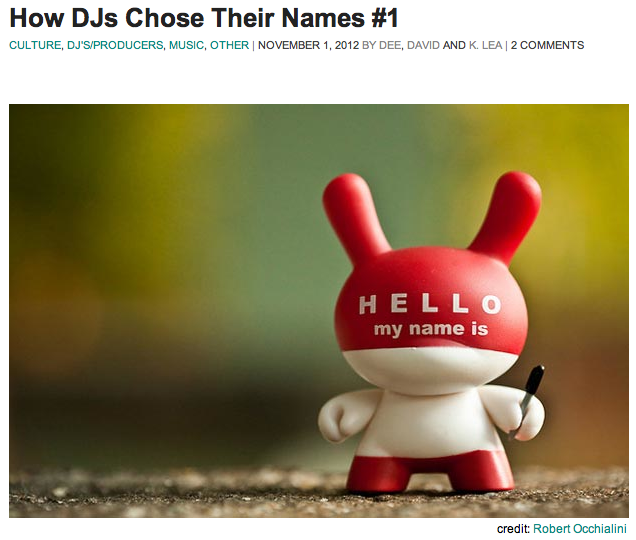 This article collates numerous DJs revealing the source of their own monikers. 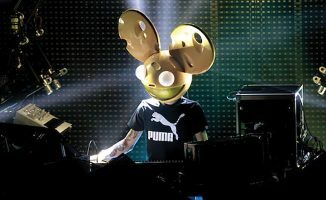 From the All You Need Is Bass site, this is a neat and useful pair of articles, that simply collates DJs saying how they got their names, from interviews all over the web. Hopefully the comments to this very article will develop into something similar, but for now this is a good place to start. 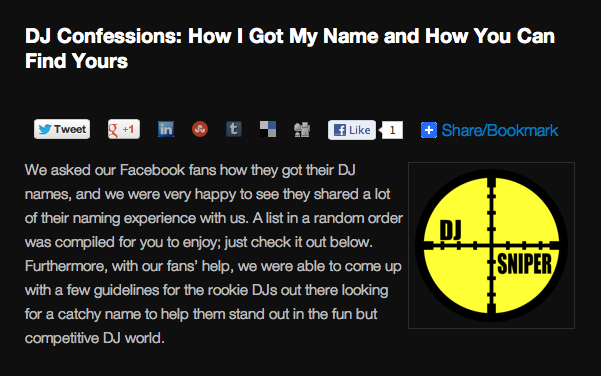 The Chauvet blog asked its Facebook fans to tell it how they came up with their DJ names, and published its findings in an article that also has some creative suggestions as to how to come up with new names of your own. Pay people to come up with names for you! It doesn’t have to be very much, but going on your favourite DJ forum or website and offering cold, hard cash in exchange for a DJ name seems to have worked for at least one resourceful DJ out there. He offered US$15 and by the look of it, got loads of people sending him long lists of suggestions…. 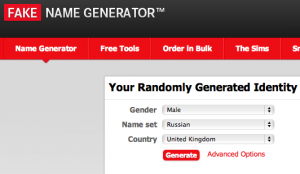 Band name generators will be less likely to have been mined by other DJs, so may give you something more original. Why? Because other DJs might not be, so you are more likely to find something that’s original. 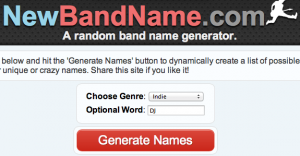 Band name generators often let you “choose your genre” (so metal might produce aggressive names, rock might produce epic names, and indie, quaint names) – and you can also often experiment by giving such generators a single word and letting them come up with names that include that word. 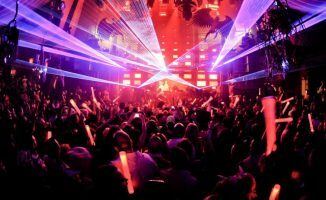 The generator we’ve chosen to show you here includes those three genres, of which we found “indie” to be the most promising for DJs, especially when you give it an idea by adding a single word of your own. This site is for when you’re being asked all kinds of personal details online and want to give them something that’s not you. But the name generator part of it is really good, because you can choose the “name set” it uses from loads of different countries. So if you’re looking for a Russian sounding name, it’s no problem. You’re gonna be a star, right? Then why not pick a ‘star’ name? This site has lists of all stars which have been assigned names. No, not a pop star or a movie star, but a real star. 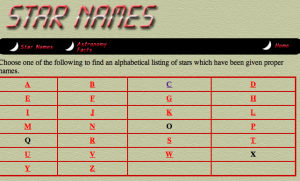 This educational website has alphabetical lists of stars which have been given proper names. What’s better, each star has a “common” name, and “astronomical” name, a “meaning” (which gives you translations usually from the Greek or Arabic), and a constellation – which are all in themselves rich sources of ideas for your DJ name. There are lots of streets out there: Why not find your DJ name on one of them? Of course you could just walk around your neighbourhood (and there’s no reason not to look at street names while you do), but there’s a better way: Just look up every street name in your postcode, or in Detroit, or in New York, or in wherever’s important to you and your music, online. 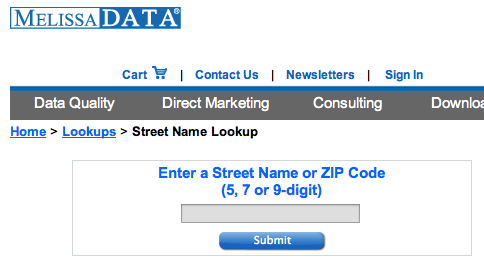 Melissa Data has US and Canadian street names in a huge, freely searchable directory, but I’m sure if you looked online you’d find a similar service for your country. 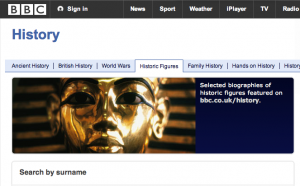 Choose someone from history you identify with, using this handy A-Z guide to many of the world’s greatest names. The good thing about this tactic is that you can find someone you identify with, so if any clever interviewer asks you where you got your name from, you can say with a straight face that you’re named after [insert fascinating historical figure here], because you “really identify with their struggle” etc. This tack may have you investigating obscure Mongolian leaders of the 14th century, but it’s all work that’ll pay off in the end! Dial up your favourite songs and read through the lyrics, looking for a word or a combination of words that resonates with you. Try joining the words up to make one long word, “wordsearch” style, then try and remove random, made-up words from the jumble in front of you that sound cool. Again, it’s going to sound great when you tell an interviewer where you got your name from when you’re famous one day. 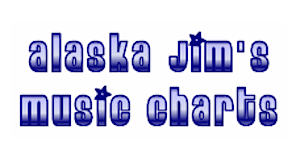 Alaska Jim’s music charts are a goldmine of lost scenes, cool names from previous decades, tempting-sounding song titles and other stuff that should get your creativity flowing. This awesome site has masses of music charts, from all ages, all countries, and of all types. You can research whole musical scenes long forgotten, pulling out the names of all their big.-hitters. You can see song titles and artists. If this lot doesn’t inspire you, you really shouldn’t be trying to be in the music business at all. A great place to get lost… just remember, you’re here to pick a DJ name, not to trainspot! So I hope that lot inspired you, and you’ve come back here because you’ve now got a name! Once you have got your name, you should go ahead and reserve it everywhere that’s important to you – as a minimum, Facebook, Twitter and YouTube plus buying your chosen URL. You’ll also want to get someone to make a logo for you. That is a subject for another post, but there are great resources online nowadays – things like 99designs, for instance – where you can pitch your logo project to lots of designers all over the world for a relatively small sum of money. If you’re at college, you can definitely find art students who can help you with this stuff, too.It’s worth looking at as many DJ logos as you can and writing a short brief to outline what you’re expecting before giving this job to anyone, to save wasting everyone’s time. So, what’s your DJ name? Did you use your real name, a variant, or something totally different? DJ or not DJ? How did you choose it? Are you happy with your name? If you got to choose it again, would you choose something different? 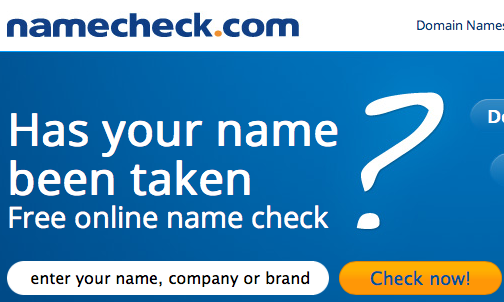 How did you find it reserving your name URL and social media handles? Has your name got you in any trouble? Please share your thoughts and experiences in the comments. 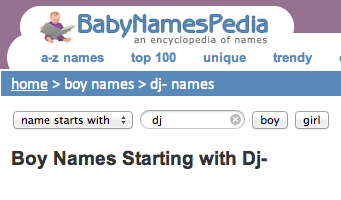 I spent ages trying to think of a DJ name, decided they all sounded rubbish, so stuck with my real name! That said I think it also depends on what sort of music you play. Apologies if this offends anyone, but the names and logos of the artists in the graphic above are what I think are in the pop end of electronic music (EDM? ), so perhaps have names/logos to help market themselves better in the overly crowded mainstream. That said there are more underground Artists/DJ with made up DJ names; Shifted, Perc, Speedy J, etc. Hey ! I’ve read a lot of articles like that. I’m using that DJ Name, what do you think about that name ? The url of my facebook page is different, done with my real name : thibault b.
Mine’s just first name, middle name. Mine is Durban or Dj Durban. It actually has been my internet handle for a long time, probably 20 years now, i picked it because it was the first *ahem* i smoked that was named…It was called Durban Poison. We are a DJ duo and go by Catch!ness. It hasn’t been mispronounced 🙂 We like it, because we like to play catchy tunes and make a night to remeber 😀 What do you think? Well obviously it breaks the “radio rule”, but I quite like it – And of course, there’s !!! who’ve managed to get away with a very leftfield name! I don’t think this name breaks the radio rule at all. Maybe you are trying to pronounce it as two separate words? My friends gave me this name in 1992. The “AM” are my initials. I’d go use my real name, but my last name “Moschopoulos” is a trainwrecker. Believe me having a greek last name can be a pain, but yours is one that one can at least work with. Look at http://www.discogs.com/artist/G-Pal (George Pallikaris) for example… I don’t say you should, but you could go with: A-Mosq, to start with… The point is that it must look and sound unique! 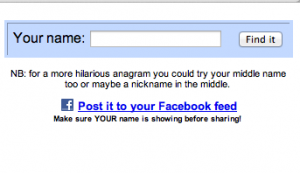 I spent ages trying to come up with mine “Electronomist”… all the good names seemed taken. Eventually i came up with this, googled it and got zero results, so I had to choose it and get a website going! I have sometimes come across non-native English speakers who can’t say it properly, but most people have said it’s a good name (for me). I don’t have a logo as yet though, just my name in a certain font which i like, to keep it simple. There was this old cartoon that used to play on late at night called ‘Undergrads.’ On this cartoon there was a geeky character that had a superhero alias named GPrime. Being a little geeky and into the whole DJing and technology thing, my friends started referring to me as JPrime when I got on the decks. I shrunk the middle and last name into GUIMO and I think sounds very nice pronounced in English as well as in Portuguese. Plus I have been using for years and no one else uses, so far. I am sure everyone understands the formatting reference. I liked it as I use a computer for a majority of my tracks. Lots of great suggestions! It seems like some people just don’t think at all when it comes to choosing a name. Been trying to come up with a name that isn’t suggestive of any genre, sounds unique and does contain any harsh letters like Xs or Ws. What do people think of Leonard Tilt? Leonard is a good start, not to sure about the Tilt part though… Does it mean anything? Mi real name is “Dario Jose Freije”, so my initials are “D.J.F.”. I born DJ jajaja. I’m between “D. J. Freije” or “Dario J. Freije” but I am not convinced. what about just “dario j.” or “dario jay”? I’m still trying to think of a name, I wanted to just use my real name but it’s taken. My nicknames were Simmo which is taken , Simmiundo, Jonaldinho (a take on Ronaldinho, I played a lot of football) and I wouldn’t want them as a DJ name. At the moment i’m using SimmoJ (pronounced Simmo- jay) which isn’t taken. Does anyone think this is ok or could I do better?. Maybe it should be Simmo J or Simmo Jay? I want a simple name that doesn’t mean anything, that way it’s unlikely to be cheesey. I would suggest your name (john Simmmons) or Jay Simmons, or just simmons. You have a good name to start with so I would stick with it. that’s a super cool name! lucky you! Why man? That name is awesome ….and it fits. Years later someone will ask u “how’d u get ur name?”. Instead of some lame old reply like “oh…ummm…I needed a DJ name sooooo….yeeeaaahh”……you have a neat little backstory that goes along with it. Those guys that were so worried u were undercover where probably tweekers….or they were just drunk and their 2+2=4 skills went out the window. They worry period…..lol. Pay’em no mind. I guarantee u ppl talked about you playing that night to friends and what not….simply bc they knew u before as police/security. Great promotion! No1 in their right mind would think the house DJ, or any DJ playing for that matter, is functioning as an undercover cop. I picked Grandiose because I new the basic definition of it but someone asked me to explain what it meant so I just told them to google it so I wouldn’t steer them wrong ha. 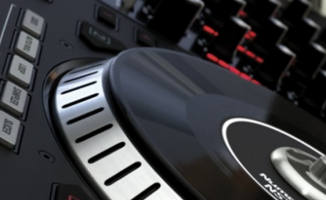 The definition on google that comes up first is “impressive or magnificent in appearance or style” which I thought would be a good DJ name and I was trying to think of one for awhile so I went for that..
Ive got a cool looking logo out already….albeit it’s prob very popular considering it’s just a googled pic with my name on it. You know what would be cool is the movie “The Godfather” type logo. U know the hands overhead holding the strings (puppets)…..just make the puppets like dancers and the hands overhead like their on record decks. I recently changed my name to That DJai. reasons? I like it. not gonna call my self something I don’t like. besides it meets all your tips, would sound good on the radio, with a logo, not genre specific. etc. I think the best names have a little mystery, it peaks ppls curiosity. My name is Victor Love I Doc Love, and I use red a lot in my light show, people know when I’m coming on by that. Eolian Tallish – If I’m in a deep ambient mood. I have no idea what the last one means, but it sounds kind of deep and spiritual (almost Gaelic/Celtic) so kind of works in an onomatapeiac sense. I’m not sure what name to pick. I want to use my real name, Max Pardoe, but I’m in this trio of producers/djays and they both have a made up name and they want me to make up one. What should I do? Hey guys, I’m in a bit of a dilemma. I’m thinking of going into the Radio/DJ business, and I need a name. I asked my dad ( who is also a DJ ) and he suggested Faith Flapjacks ( My middle name is Faith ) . He was just goofing off though, so I currently just use it as a username to get a smile out of people. Any ideas? I really want to have Faith in there, and I’d prefer if the second word also started with F. Any ( appropriate ) ideas? I dunno, maybe something with Maximum in it? Maximum Mixer, Maximum ( insert favorite animal, color, or adjective ) . Maybe Maximum Gold, Maximum Blue, Maximum Fun, Maximum High, Maximum Dash, Maximum Man… Stuff like that. Or you could just go with Maximum Pardoe. Maybe you could style it as MAXimum Pardoe. What kind of music do you like? Like, say you like a band called Mudslide Crush, you could call yourself Maximum Mudslide Crush. Or, if that’s too obvious, Maximum MS. Hey, you could do something with initials! Say your favorite music genre is Rock, and you like dragons. Put them together, and you have MAXimum RD. or you could go with your initials, or maybe the first letter of your crush’s name and M.
Or maybe you could do something with your surname. Pardoe is Old French for ” for God ” , so maybe you could do Maximum ( insert random French word ) . Your surname family Crest has a knight on it- maybe Maximum Knight, Maximum Steed, Maximum Honor, or Maximum Brave? Maybe you could use your Zodiac Sign. Say your Zodiac Sign is Tauras- you could become Maximum Tauras. Or Maximum JJ, if your a Cancer, because Cancers are June ( 21 ) through July ( 22 ) . But be creative about your name- people will judge you by it, so you have to think it through. For example, if you call yourself Maximum Blue, people might think you olay alot of blues music. Or, if you use something like my current DJ name ( Faith Flapjacks ) people probably won’t take you seriously. Look at your name and say, what would I think of somebody with this name? Will this name effect my music? Will i be ashamed to introduce myself? And, most of all, am I satisfied with this name? Good luck! I make electronic music that can be hard but also can be soft and chill, relaxing.. What do you think? any suggestions? Also I don’t know anything off my real name I could use.. Haha. Was also thinking maybe “DJ Free Reign”, I’d like something that has to do with freedom, being free, or being a hero or something. I’m new in this business which I just start learn producing. I’m a turkish and my name is Kemal Namli. I know its not a good name for making up a DJ name with. Thats why I’m here, I need your help guys. By the way, my favorite music style is deep house.